The powerhouse of all anti-ageing treatments. This fast-acting non-invasive skin rejuvenation treatment combines proven anti-ageing ingredients Retinol and Bromelain to refresh, refine, hydrate and plump skin. Works quickly, to dramatically diminish the appearance of fine lines and wrinkles, even skin tone, and improve overall skin luminosity. 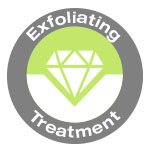 Microdermabrasion is a quick, non-invasive skin treatment, ideal for cleaning, refining and smoothing the skin surface. Using a Diamond head, the procedure removes the surface layer of dead skin and stimulates healthy vital reactions in the deeper layers of the skin, best of all this is a non-invasive treatment leaving you with hydrated, brighter and radiant skin without any downtime. UltraSonophoresis utilises low frequency ultrasound that has been shown to increase transdermal penetration of various ingredients up to 1,000 times than that achieved with other application methods. Not sure what your skin needs? Don’t worry all facials begin with a detailed skin consultation by one of our skin therapist. Save with our treatment packs. Treat your skin right, with a course of treatments designed to save you time and get the result your skin needs. 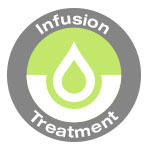 Treatments incorporate the powerful UltraSonophoresis (Infusion) technology. UltraSonophoresis utilises low frequency ultrasound that has been shown to increase transdermal penetration of various ingredients up to 1,000 times than that achieved with other application methods¹.